This really cute 3 bedroom ranch has been refurbished with all new paint and flooring. Beautiful gray wood grain laminate flooring thru out with coordinating ceramic tile flooring in both full baths. Great open floor plan with large rooms. Appliances stay including washer & dryer. 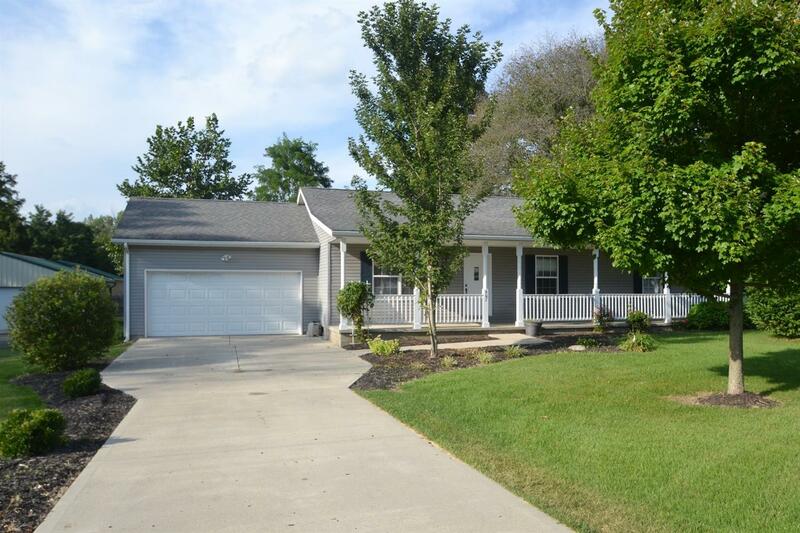 Full width front porch & extra large,flat lot w/deck & 2car garage. NOTE: This property was sold on 10/11/2017 and is no longer available. The details listed below are believed accurate to the date of the sale and are subject to change.